After a cold and snowy winter, spring has come early, and the sweet rolling Marche hills are looking their best. Down on the coast the lifeguards are adding a coat of ultramarine to the beach huts, while inland all is bustle as farmers make the most of the lengthening days. 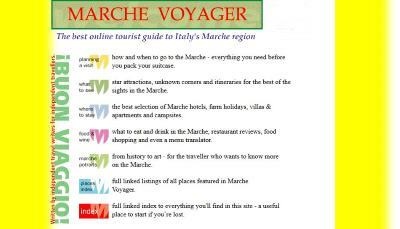 Welcome to the spring issue of the Marche Voyager newsletter and buona Pasqua to all our readers! Marche cheese-making has seen a renaissance in recent years, and some of the best products are the superb unpasteurised milk cheeses from Fontegranne, a family-owned, biodynamic farm performing gastronomic alchemy in the gentle hills of Belmonte Piceno in the southern Marche. Well worth keeping an eye open for their 20 or so fine cheeses made from goat, sheep and cow's milk. Fontegranne farm website (in Italian) Enthusiastic entry on Fontegranne cheeses from a blogger in Sarnano. 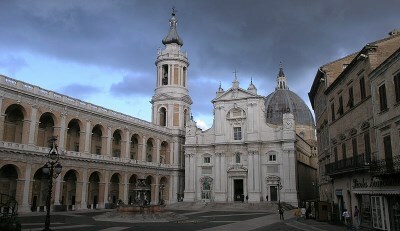 This spring's picture of a Marche piazza is the Piazza della Madonna in Loreto, the elegant set-piece square with a delicate baroque fountain that fronts the celebrated basilica dedicated to Our Lady of Loreto. To the left are the arcades of the 16thC Palazzo Apostolico. As you will have read, a series of severe earthquakes hit central Italy last autumn. The tremors were felt across a large part of Italy, and serious damage was caused in a number of towns and villages across the southern Marche and neighbouring Umbria and Lazio. While many homes were damaged in the area of the Sibillini national park many towns are fast getting back on their feet. In Sarnano, for example, many of the restaurants, bars and other tourist facilities are now open, as is much of the old centro storico. Towns featured in Marche Voyager that have been badly affected are Visso and Acquasanta Terme, while Camerino, Amandola, Sarnano and Calderola have witnessed significant damage but are now brushing themselves down and getting back in business. Bear in mind that many places in the affected area depend on tourism for their livelihood. Wherever you decide to stay there will still be wonderful views, beautiful places to visit, great experiences and warm hospitality, and your solidarity will be much appreciated. While the earthquakes were very strong, they have affected relatively small areas, and most of the Marche has experienced no damage. 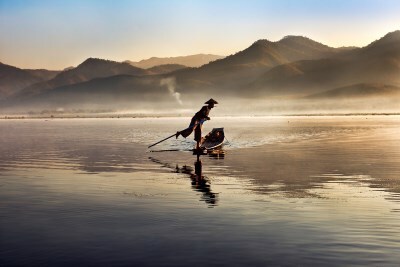 The work of American photojournalist Steve McCurry - one of the world's leading contemporary photographers - is on show in Ancona until 25 June 2017. Icons, at the Mole Vanvitelliana on the waterfront, brings together around 130 photographs, including his iconic image "Afghan Girl" of a 12-year old refugee, Sharbat Gula. If you have a holiday home in the Marche and need a broadband Internet connection but don't want to pay for it when you're not there, Marche wireless broadband provider Fidoka are offering a package that might suit you. Users can pay for an annual package where the 12 months can be used over a period of 3 years; each activation is for a minimum period of 30 days. Fidoka wi-ADSL website (in Italian). Pesaro will be in the swing this summer when it hosts the 35th Rhythmic Gymnastics World Championships. The events opens on 30 August and is set to run over five days at the Adriatic Arena. Rhythmic Gymnastics World Champonships website. The Borghi più belli d'Italia organization promotes the prettiest of Italy's villages with fewer than 2,000 inhabitants. In the Marche, Torre di Palme has been added to the list, making 23 places out of a total of 258 across the whole country. In alphabetic order these are Cingoli, Corinaldo, Frontino, Gradara, Grottammare, Macerata Feltria, Mondavio, Mondolfo, Montecassiano, Montecosaro, Montefabbri, Montefiore dell'Aso, Montelupone, Monte Grimano Terme, Moresco, Offagna, Offida, San Ginesio, Sarnano, Servigliano, Treia, Torre di Palme and Visso. Borghi Più Belli listings for the Marche (in Italian). April marks the 20th anniversary of Marche Voyager. The site went online on 7 April 1997 when there were barely a million websites in the whole world, and Altavista ruled Internet search. Since then some 5 million visitors (unique hosts) have looked at around 20 million pages, and though we're biased, we think the site is still the best English-language web resource on Italy's Marche region. Here's to the next 20 years! Next year sees the 150th anniversary of the death of the great bel canto composer Gioachino Rossini who died on 13 November 1868.